Connect Media recently got together with Kurt Stuart, area manager for the Northeast Region, including New York, Boston and Washington, D.C., for Chase Commercial Term Lending (CTL). The conversation focused on the trends and factors shaping the commercial real estate sector in New York. He shares his insights in part two of our CRE Q&A series. The first part on the economy and demographics with Stuart and Reis economist Victor Calanog, PhD can be found at this link. Connect: Thank you for spending time with us, Kurt. Let’s dive into your views on the trends shaping investment decisions today. Starting at the top, what’s the current state of the multifamily market in the New York metro area? Kurt: Historically, trends in the New York City markets have generally started in Manhattan and then moved to the outer boroughs. Manhattan historically is the first to peak in any given cycle, and the first to recover after a down cycle. Thinking long-term, Manhattan still has everything an investor wants in a real estate market. It’s the source of jobs, transportation, and all the entertainment value of where the underlying tenant base wants to live. So, Manhattan is still one of the best real estate markets in the world, and I don’t see that changing anytime soon. Connect: How is the supply and demand equation adding up in the market? Kurt: Market participants have shared their concerns with us about supply. We’re seeing that new supply has been concentrated in certain submarkets, particularly in New York City. It’s concentrated in areas of Brooklyn and in Queens, particularly Long Island City, and so we see investors being more cautious there. The other dynamic fundamental is rent growth and it varies, based on which segment of the market the asset serves. In Class A assets with the supply overhang, there are increases in vacancy and we are seeing concession growth there as a result. But, in workforce housing, we are still experiencing rent growth there. Much of the workforce housing product is experiencing really good fundamentals, with vacancy rates reaching half or even less than what you might observe in the Class A space. Those are important distinctions. Connect: Let’s switch to a broader topic. Can you share how you think rising interest rates will impact apartment/multifamily investment activity? What should your clients do? Kurt: Sure, data suggests a strong correlation between cap rates and 10-year treasuries over the course of the history, and for very much the same reason that was articulated previously (in part one of the interview). However, there does seem to be a lag in cap rate expansion, possibly because expectations haven’t necessarily changed yet. Our discussions with clients revolve around what the long-term expectations of an asset or market are, and how they see themselves participating within those expectations. Connect: What is driving those decisions then, new supply or another factor? Kurt: The answer differs for different investors. If someone is a long-term investor, they’ll likely to be thinking more broadly about the prospects of a neighborhood or submarket, and how an asset might fit into it. Shorter term investors are likely more focused on what immediate value can be added to or extracted from an asset. 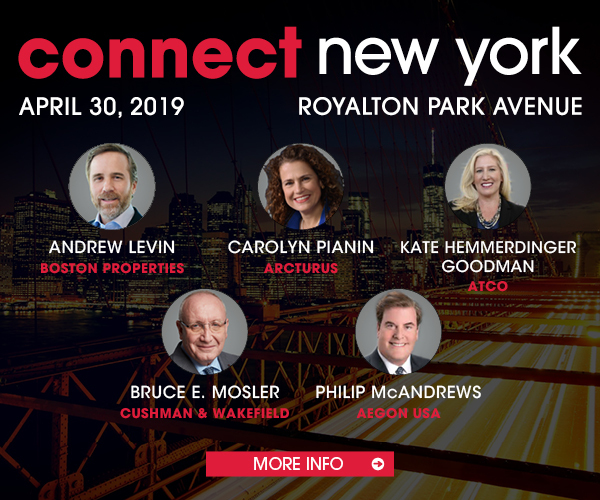 Connect: With that in mind, let’s circle back and talk about the current state of multifamily lending in the New York metro area. Can you share how is it doing? Kurt: Overall, the lending market is pretty healthy. The banking industry as a whole has been disciplined coming out of the last recession, particularly in the arena of real estate lending. We really have not seen a deterioration in credit fundamentals yet. There are items on the horizon to watch, such as the rise of debt funds. There have been a significant number of debt funds that have been raised over the last 24 months, more than at any point in history. And, so the supply of capital is something that many lenders pay attention to, many investors pay attention to and it’s something that we pay attention to. Connect: Given those conditions, what are some of the things you are looking at as far as projects to finance, and how do you balance decisions against the overall state of the multifamily sector? Kurt: We’ve been thoughtful about building our business with the mindset that we want to be in a position to serve clients throughout all parts of a real estate cycle. Whether it’s construction financing, permanent financing, or affordable housing—our goal is to be in business with the right sponsors that share our long-term view. Connect: That’s likely an approach that’s served you well for so long. Do you think that the current rent and interest rate environment is having an impact on investment activity? What’s your advice when you talk to clients? Kurt: Well, certainly expectations of rising interest rates affect investment decisions. It affects decisions about whether to buy or not, as well as how to finance those assets. We always encourage clients to be conservative when they are thinking about a rising-rate environment. We encourage investors to develop a view of how their portfolio looks if interest rates are 200 to 300 basis points higher than they are today. Connect: What is the 2019 New York multifamily industry outlook? What are some of the things that pop-up in conversations these days? Kurt: The interest rate environment again is very topical. Our clients are watching that. But most of our client base includes seasoned real estate investors, and they have been through multiple real estate and interest rate cycles. Our client base invests in New York for 10, 20, even 50 years or more, and so their viewpoint is different than an investment fund that assesses various markets and asset classes. Those two viewpoints can differ widely, but to a large degree we are aligned with folks that are in this business for the long-term. Connect: That’s an interesting perspective, and it has probably gotten more complicated in a global investment environment where money can move fairly easily and quickly around the globe in different investments. How do you advise investors about just being focused on pockets in New York? Is it typically borough-focused, or is it across the spectrum of multifamily property types? Kurt: That’s a good question. Investors can be borough-focused or they can be segment-focused. For example, there are investors that solely focused on rent-stabilized housing in New York. There are other investors that focus on the de-stabilized segment, or even Class A, and they may invest in those segments for different reasons. But the common thread for our clients is that we don’t see a lot of investors venturing out into either markets, or asset classes, that they are not familiar with. Connect: So, it sounds like it is less about diversification and more about sticking to what an investor knows. What are some of the topline considerations on investors’ minds these days? Kurt: Well, the supply of capital can be temporary as history has shown, so whenever we have a meeting with a client, the one thing I always want them to take away is that we are in this business for the next 100 years and we are going to be there in any cycle, and that largely aligns with how they think about their own business. The other theme that is topical is around the technology investment that’s occurring in commercial real estate today, irrespective of where you participate in the industry. Technology is changing everything, from how assets are operated to how they are financed. There is a lot happening in commercial real estate technology and lots of that is happening in New York. Our firm is investing in technology and it has the potential to evolve rapidly over the next several years. Connect: There does seem to be a new wave of technology entering the CRE space designed to improve or “disrupt” the industry? What are you seeing that could impact the sector in a meaningful and enduring way? Kurt: It’s important to look at it in a more-focused way. So for example, real estate operators primarily collect rental payments in the form of a check. Renters either deliver that check to an office, or they mail it somewhere. There is a lot of technology that operators are looking at today to improve that interface and make it more efficient for both them and their tenants. Our firm is focusing on treasury services to help meet those types of needs, as well help our clients manage other receivables and payables. Technology being implemented today can make the vendor contract process more efficient for operators, too. Those are parts of the industry that are going to change rapidly. With respect to data and how it is aggregated and disseminated, there is a lot happening there too, particularly in New York because data is more transparent than other markets in the country. There are firms that can utilize publicly-available data on everything from utilities to real estate taxes, to publicly available cap rates and rent rates, to provide aggregated data to both operators, lenders and other market participants that may find it useful. These are just a few examples of where technology has been impactful, and I think will be much more impactful over the next five or 10 years.